Raksha Bandhan also known as Rakhi Purnima or simply Rakhi is a Hindu festival that is celebrated in most part of India. Raksha Bandhan is one of the most awaited festivals in India. The festival is celebrated during the Hindu month of shravan on full moon day. This year’s Raksha Bandhan falls on 18th August. This symbolic festival is celebrated to honour the love and bond of siblings. In India, Raksha Bandhan is also celebrated by people of different religions, caste, region or creed. This festival is predominantly celebrated in India, Nepal and Mauritius, though section of Indian living in other part of the world too celebrates. 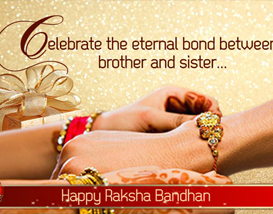 Raksha Bandhan festival marks the fastening of the bond which brother and sister shared with each other. This occasion is very special for siblings living near and far as the day is especially dedicated for them. This occasion is observed with much fun and fanfare. The day on which Raksha Bandhan falls is a national holiday and this signifies how significant and important this festival is to the people of India. 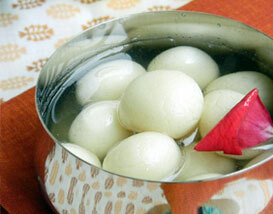 The preparation for Raksha Bandhan starts at least a month or weeks prior to the festival. Women and sisters would be busy shopping for Rakhi and visiting temples. 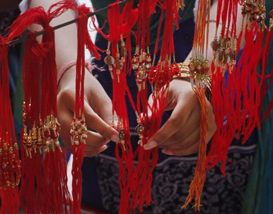 Women or sister buys Rakhi of different varieties or they even make by themselves. Tying of Rakhi or sacred thread is a traditional practice on this festival and is considered ritual. On this day sisters tie Rakhi on the wrist of their brother and bless them with prayers for the wellbeing, prosperity and success. In return brothers will vow and pledge to take care of their sister forever in times of trouble and needs. Tying of Rakhi symbolizes the tightening of bond shared by siblings. If brothers are not home then sister would mail or send through online delivery. Raksha Bandhan also includes applying of tillak by sisters on the forehead of their brother. Sisters will also perform aarti (plate with lighted lamp or candle rotating around the face of brother). On the day of Raksha Bandhan, siblings would gather in their parental home and exchange pleasantries in the form of gifts and wishes. 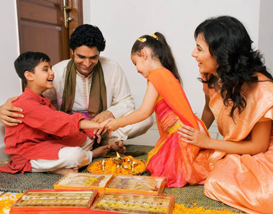 Gifting is a common practice in Indian festival and Raksha Bandhan is not an exception to this. Festival is incomplete without gifts, feasting and merry making. 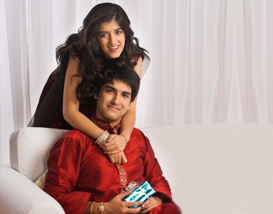 On Raksha Bandhan siblings will express their love and affection to each other in the form of gifts. They would send gifts for siblings who are away from home. Indeed Raksha Bandhan is truly a festival of spreading love, peace and harmony beyond man-made social hindrance and geographical barriers. The onset of time has brought some changes in the way people celebrate this festival. Previously Rakhi was tied only on brothers but nowadays, sisters tie Rakhi even on the wrist of her sister-in-law, cousins or relatives or even to friends who are biologically unrelated. The spirit of the celebration has become much livelier and colourful in the present age. On this special occasion siblings would leave no stone unturned to reach and connect back to their siblings wherever they may be. Earlier that festival was concentrated to north and western part of India but now, it has travelled beyond India also. Siblings will call, send mail, send Rakhi, gifts, et cetera to make their love felt by them. Time may have brought changes in the style and manner of celebration but the ritual of the festival remained unchanged. Raksha Bandhan is a perfect day and moment to rejoice and celebrate the undying bond and unceasing love shared by siblings. May this year’s Raksha Bandhan bring joy and happiness in everyone’s heart.